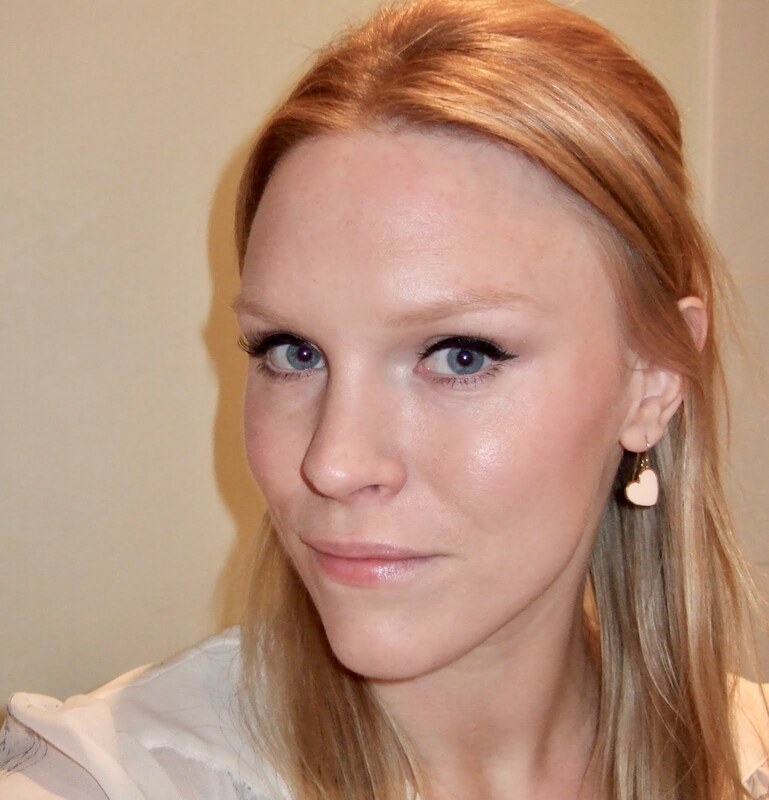 Recently I've started to feel very limited by my lack of makeup brushes. In the past I've always made do with my fingers, or cheap applicators and one-off brushes, but I decided it was time to get myself a little starter kit to play with. I didn't want to spend a fortune, as I really wasn't sure how well I'd get on with using brushes. I think it's easier to use your fingers for some things. 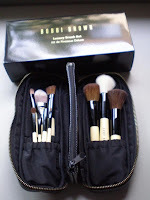 I chose a ten piece set by Bobbi Brown, which I found on eBay. I know you're all going to say, 'It could be fake!' but, rest assured, I checked all of the trademarks etc online before buying, plus the seller had 100% feedback for the exact same product. The set arrived today and it's small, yet perfectly formed. 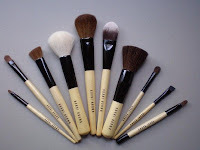 The ten brushes included are: Foundation, Blush, Bronzer, Face Blender, Concealer, Eye Shader, Cream Shadow, Eye Shadow, Eye Brow and Ultra Fine Eyeliner. All were in plastic sheathes/bristle covers. I think these are the medium-handled brushes: not the minis but not the full size either. All the brushes are a good size apart from the Eye Shadow, Eye Brow and Ultra Fine Eyeliner, which are verging on too small, in my opinion. The handles are very thin, which makes them a bit fiddly. I think they're still fit for purpose, but I'd prefer something more substantial. 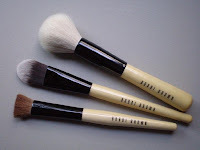 Still, as I said: these are my first set of brushes and they'll be perfect for experimenting with, and also for travel. The bristles are soft and tightly packed. The case is smart and compact and the brushes don't need to be arranged in any special order to fit in. Overall I'm impressed with the quality and can't wait to try them out! I'm hoping I'll be able to get a better finish to my makeup and that having the correct tools will allow me to be more experimental. Look out for an update coming soon! If anyone wants me to refer them to the eBay seller then please send me an email. Looks like a nice little set there! BB always has nice brush sets. BTW, you have been tagged. whos the ebay seller and how much did you pay for it?